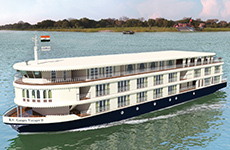 *Savings is up to $4,000 per Couple ($2,000 per person) and will vary by ship, sail date and itinerary. Delhi is the third largest city and consists of Old Delhi and New Delhi. Old Delhi was the capital of India Between 17th and 19th centuries and now contains many mosques, monuments and forts relating to India's muslim history. The other Delhi is the imperial city created as the capital of India by the British. 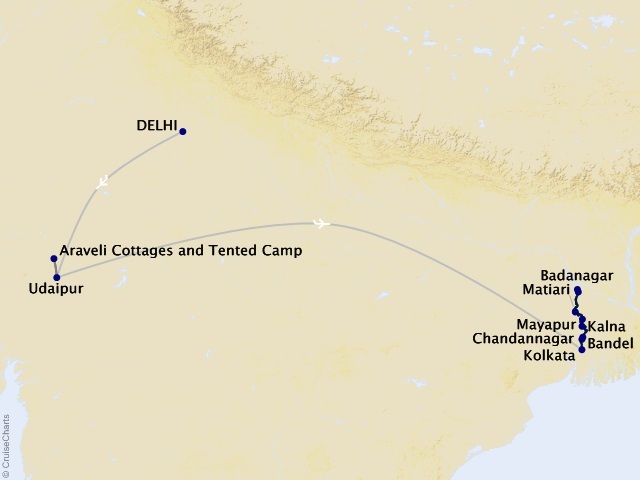 In addition to its historic interest and role as government center, Delhi is a major travel gateway. The architectural designs and sophistication that buildings in Delhi like Parliament House, Rashtrapati Bhavan, India Gate, Connaught Place and various administrative buildings like the South and North blocks along the breathtaking view available from Raj Path, show British influence. Modern Delhi has a cosmopolitan culture that nurtures festivals of all faiths and religions. Theatre, drama and entertainment of all sorts including discotheques are there. One of the most romantic cities in Rajasthan, Udaipur is also known as the city of lakes. The marble palaces, beautifully laid out gardens and the lakes make Udaipur seem almost like a mirage in the desert. The founder of Udaipur, Maharana Udai Singh, was overcome by the misfortunes that his old capital of Chittaurgarh had to face due to repeated attacks by the Mughal armies. On the advice of a holy man, Udai Singh shifted his capital to the banks of Lake Pichola- the city was named Udaipur after him. Kolkata (formerly Calcutta) is located on the east bank of the Hooghly River and is the capital of West Bengal. The port of Kolkata is India's oldest operating port. Kolkata has a rich culture, and is known for its literary and artistic heritage. Sitting on the western bank of Bhagirathi is a town named after the deity Goddess Kali, Maa Ambika. Ambika Kalna or 'Kalna' is known as the 'City of Temples.' Upholding its title is the 108 Shiva temples built in 1809 and in addition, the Rajbari palace. The beautiful marbles, intricate stone shivlingas, unique steeples and revered sculptures gives the city of Kalna unmatched grace. Matiaria is nicknamed, the "Brass Working Village" where workers traveled to Calcutta to work in factories making brass utensils. Workers would then take that skill back to their village and create brass utensils at home. Matiari is also the location where Indian independent leader Mahatma Gandhi began his Satyagraha, the revolution for passive political resistance. Travelers can also visit the town of one of the oldest temple in Hindu mythology, Someshwar Nath Temple. Discover inner peace in Kesariya Stupa, the largest Buddhist Stupa, a place of meditation for Buddhist monks and nuns. Sitting on the banks of the Bhagirathi, Murshidabad was once the capital of Bangla and Bengal famously known for its silk. Today, the city is a tourist attraction. Both foreign and local visitors flock to the Hazar Duari Palace, also known as the "palace of 1,000 doors"- real and fake. Visitors can also relish in the beauty of the Kathgola Palace with walls intricately designed praising Jain’s unique style and beauty. The Katra Masjid is also a must visit where relics of the mosques are still prayed upon. This beautiful village that sits on the bank of the river Ganges is considered holy by Hindus. It is the birthplace of Sri Krishna Chaitanya who was born in the 15th century and is believed to be the reincarnation of Hindu deity Krishna. In the village of Sri Mayapur, it was Chaitanya who first taught widespread mass chanting and singing mantras. Travelers visiting this city can meditate at the ISKCON Temple or pay homage to the shrine of Srila Pabhupada. Bandel is a small port town on the banks of the Hoogly River in the Indian state of West Bengal. Bandel was founded by Portuguese settlers, and the original church and monastery build around 1660 can be visited today. Chandannagar, formerly a French Colony is a corporation city in West Bengal, India. The city’s name derives from the shape of the Ganges River forming a crescent moon where ‘Chand’ means moon and ‘Nagar’ means city. Chandannagar was first established as a French Colony in 1673 and became a permanent French settlement until 1756 when war ensued between France and Great Britain. By 1947, India became an independent nation. Travelers visiting Chandannagar can stroll through the Chandannagore Strand, The Sacred Heart Church of Chandannagar, the French Cemetery, or the Nandadulal Temple. Rates are cruise or cruise/land only, per person, based on double occupancy. Port charges of $170 and government fees/taxes are additional for all guests. Fuel surcharges may apply. Please ask your travel counselor for details. Rates are subject to availability and may change without notice. Restrictions may apply. Optional roundtrip airfare and transfers. Prices are cruise/hotel only, per person, based on double occupancy. Airfare, government fees/taxes additional.